I’m a sucker for a tastefully updated classic BMW. And this mid-70s airhead is as good as it gets. 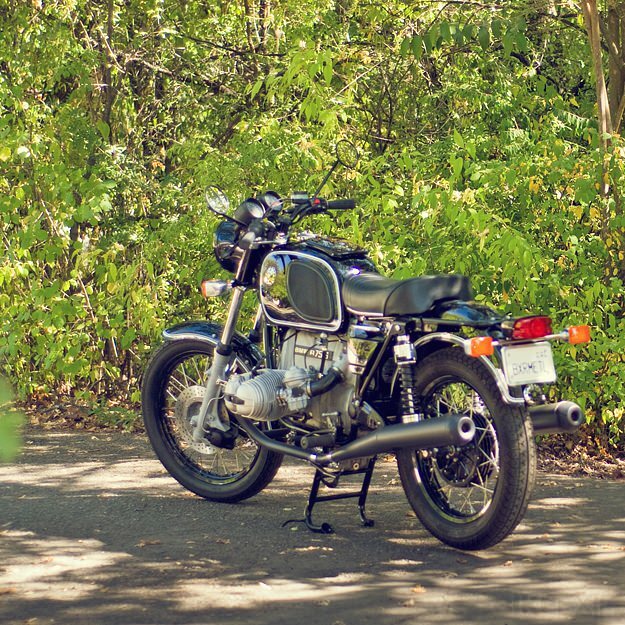 The bike started out as a stock R75/6, but it’s now way beyond factory spec—thanks to California-based BMW specialists Boxer Metal. Boxer Metal also fitted a police-spec tank and seat obtained from Europe, and had the bodywork repainted by Chico-based artist Dennis Price. They stripped, rebuilt, powder coated and re-laced the wheels with stainless steel spokes. The front end is now a dual disc setup from a R90S; it’s matched to completely rebuilt forks, with Works Performance providing the rear shocks. 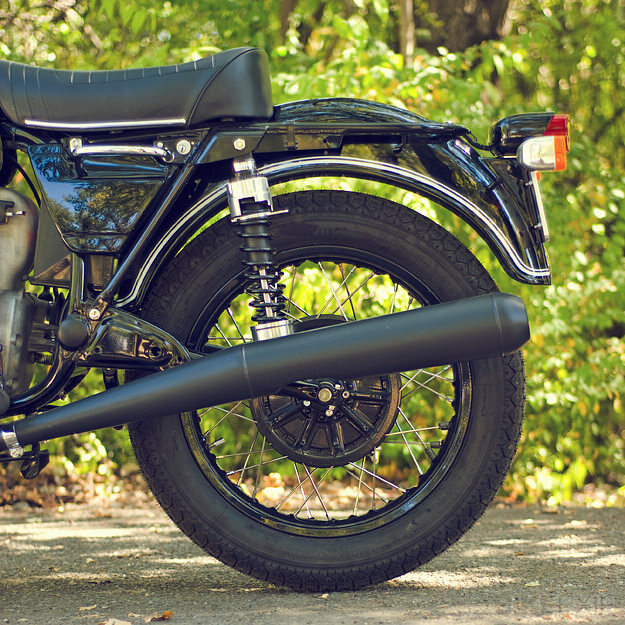 Extreme attention to detail has given this R75/6 a factory-fresh look: Boxer Metal has powder coated the frame parts, and black anodized many of the other components. The exhaust has been treated to a Jet-Hot Ceramic Coating, and the shiny parts are either chrome-plated or new stainless steel. 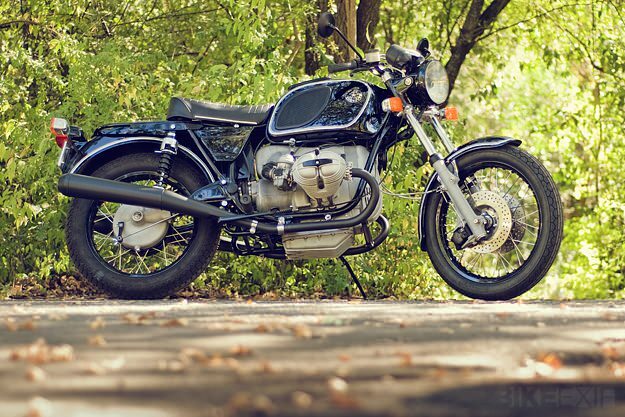 The standard R75/6 had around 50 hp, but this machine is probably putting out closer to 70—which should give spritely performance for a bike weighing just over 200 kg wet (460 lbs). 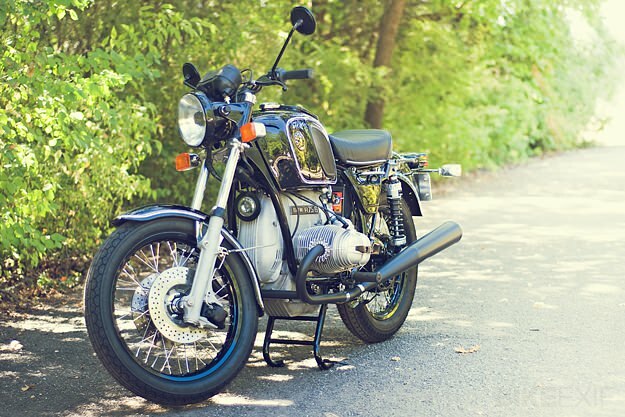 Classic style and a decent turn of speed—what more could you want? Images courtesy of Oliver Hutton. 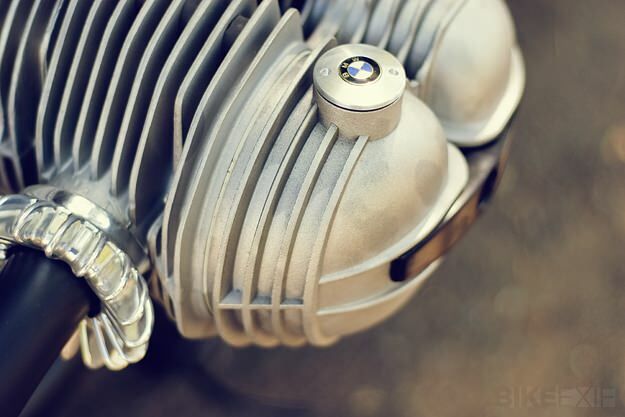 For a different take on the BMW R75/6, check out the Wilkinson Brothers’ cafe racer.